Check out our latest cookie cutter shapes & designs! It’s practically like Christmas here at Fancy Flours, we just got in a bunch of NEW Cookie Cutters in yesterday that are unique and fun! Butterfly Cookies + Wafer Paper Giveaway! Learn how to make these beautiful butterfly cookies with a step-by-step tutorial from SugarKissed.net! She created these easy summer beauties with our popular Butterfly Wafer Paper. Also enter for a chance to win 3 sets of wafer paper from Fancy Flours at the end of this tutorial! It’s hard to believe July 4th is only a couple weeks away! We are gearing up for this red, white and blue filled holiday and celebrating our country with some great baking and decorating ideas. 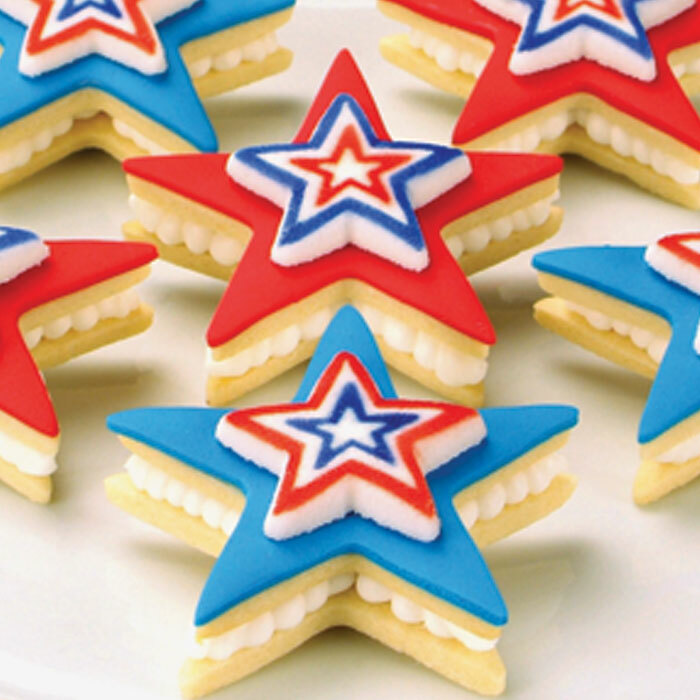 Make Patriotic Stars Sandwich Cookies for your 4th of July celebration, a perfect complement to any patriotic holiday BBQ or table! They are super easy, yet they make quite the statement! Create a buzz with these delicious honeycomb stained glass cookies! We used our graduated set of 9 hexagon cookie cutters, sized .75″ – 4″, melted down some yellow hard candies and attached adorable sugar bee decorations! When life gives you lemons, make lemon cookies! Enjoy a sweet and tart bite with these bright and sunny Citrus Cookies. Carefully crafted by the baking blogger behind the popular site ‘Sweetopia,’ these stunning sweets are the perfect summertime party favor. Tutorial & beautiful images thanks to Sweetopia! Check out Sweetopia for more great tutorials and decorating ideas! 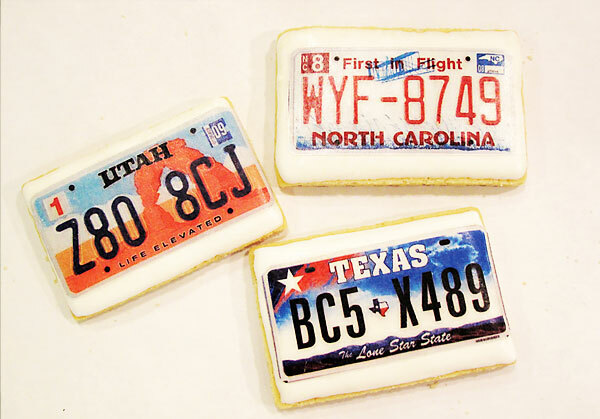 Using WAFER PAPER is like edible scrap-booking. Create gorgeous cookies in a snap! Made of dehydrated potato starch, water and vegetable oil, this thin edible paper is pre-printed with food-safe dyes in many patterns.